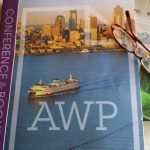 Last night I flew to Seattle to attend the annual Association of Writers & Writing Programs Conference, otherwise known as AWP. Take about 8,000 writers who are used to (and typically function best when) being alone and put them in a convention center for three days, shake them all around–their hopes, their schmoozing, their lucky bastards and their poor, forgotten undiscovereds–and see what happens. But wait…I know what happens. I’ve been to this conference before. It’s absolutely exhilarating, informative, exhausting, and necessary. I learn something every time; I also get the jitters around famous people and probably say the wrong things to unfamous people and torture myself with indecision in the face of what I consider extreme social duress (though most folks would just call it a “party.”) It’s a wild ride, that’s for certain, and it starts in t-minus 60 minutes from now. There are 15-20 different panels to choose from every hour for three solid days, and that’s no lunch breaks and with added en masse high-profile readings and on-stage interviews in the evenings. This is to say nothing of the twenty or thirty writers and friends I simply have to see, somehow, during 15 minutes shuffling between sessions across the convention center. Did I mention there’s no time to eat and that I’m allergic to have the planet? I’ve got Lara Alt Bars in my purse and I hand-carried hard-boiled eggs on the plane yesterday to get me through today’s breakfast. I even packed Starbucks Via instant coffee and my thermos. Those, plus my pen, my Levenger folio, some good friends, a free bed (shared with the many and roving equally exhausted and broke writers just trying to find a way to make ends meet), and I’m ready to go! 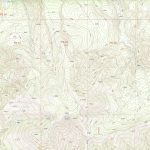 I’ve picked through the catalog and made my hard decisions about where to go, in some cases selecting several sessions because whether or not I can attend will depend on my energy level (Have I eaten that day? Did I sleep the night before or stay out with all the who-zits and what-zits?). Obviously, I’m most excited about the novel-related sessions and the war literature sessions. For the curious, here’s a more detailed peak at what I’ll be attending: My AWP Schedule, 2014. 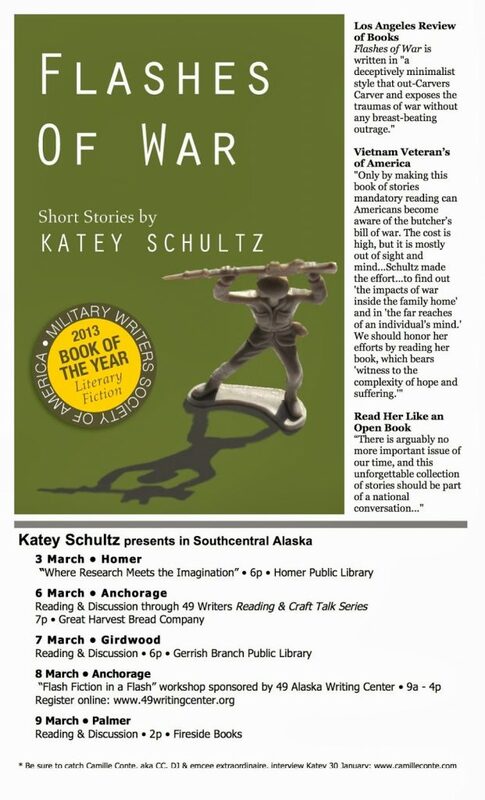 Meantime, by the time this whirlwind boils down, I’ll be on a plane to Anchorage to start a week-long tour of Southcentral Alaska. The flyer is posted at right. Blog updates will be slightly limited and delayed due to having loads of fun!